Two octogenarians are preparing to go head-to-head to determine who will hold the record for the oldest to summit Mt. Everest; 81-year-old Min Bahadur Sherchan of Nepal and his 80-year-old rival Yuichiro Miura of Japan are both currently in Everest Base Camp on the South Side of the mountain. Sometime in the next couple of weeks, the two climbers will set out for the 29,029-foot summit as they both look to fulfill a dream of climbing Everest in their eighth decade. Setting a new mark for the oldest person to accomplish that feat would simply be icing on the cake. 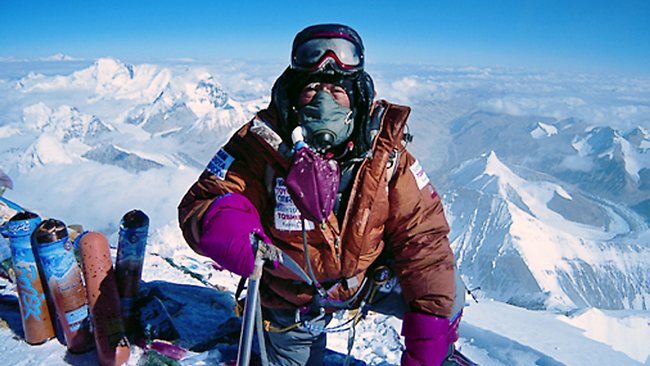 Sherchan is the current record holder, having previously climbed Everest in 2008 at the age of 76. He managed to reach the top of the world’s tallest peak exactly one day before his Japanese counterpart, who was 75 at the time. That was Miura’s second successful summit as he also climbed the mountain in 2003 at the age of 70. Unsurprisingly, the rivalry between these two climbers is a bit one-sided. Sherchan says that he hasn’t returned to Everest in an effort to keep his record but instead he simply wants to attempt to climb the mountain in his 80s. Miura on the other hand is quoted as saying, “records are meant to be broken.” Clearly he would relish the opportunity to claim this crown for himself. In order to do that, however, he must first reach the summit and then hope that Serchan does not. The two men will soon get the opportunity to prove that they still have the strength and skill to pull off this difficult climb despite their advancing age. If everything goes as planned, the Sherpa team charged with fixing the ropes up the mountain will complete their work tomorrow. That will clear the way for the commercial climbing squads to begin their ascents once they get a clear weather window that will provide access to the summit. The forecast calls for high winds over the next few days, but things should start to improve early next week. After that, the two men will have their duel on the slopes.